However, research has shown that progesterone is vital to men and women of all ages. 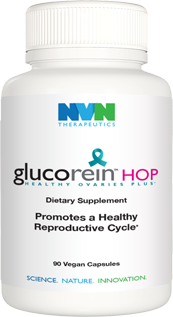 For women, progesterone begins to be secreted right before ovulation, while a decrease in estrogen production occurs. The amounts of progesterone produced naturally in the body are measured in milligrams, much like many of today’s vitamin and mineral supplements. On the other hand, estrogen is secreted in much smaller amounts, and therefore measured in micrograms, or 1,000th of a milligram. Due to this, it is easy to see how a miniscule increase in estrogen production can actually have a large effect on the body’s overall hormone balance. Excessive estrogen, also known as estrogen dominance can lead to many unpleasant changes such as lowered energy, decreased libido and even weight gain. 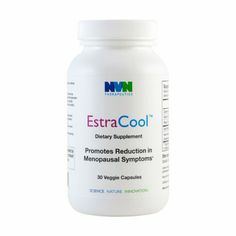 Many women have been lead to believe that estrogen is the answer to many common hormonal challenges, however this is not always the case. Hormone balance is vital for those trying to achieve proper health. Women are becoming increasingly susceptible to estrogen dominance due to many common items that we use in our everyday lives. Estrogen is commonly found in forms of oral contraceptives and hormone replacement therapies, but also in many chemicals used in the production of the foods we eat. There are over 50 chemicals that have been identified as hormonal disruptors, and research has shown that many of today’s pesticides actually mimic estrogen in our bodies. It is important to understand that hormone balance can be achieved in large part by increasing the amount of progesterone in one’s body. Progesterone and estrogen are obviously not the only two hormones that are at work here, but progesterone plays a role that estrogen does not, and that is the fact that it is a precursor to many other hormones in the body. Progesterone is also calming, and counteracts many of the uncomfortable symptoms one would experience with excessive estrogen. It also has been shown to boost immune health and increase energy levels. Directions: Profria should be applied once daily or as directed by your healthcare provider. Apply to areas where your skin is thin, such as the neck, breasts, inside the arms etc. The amount needed will vary from individual to individual and dependent on the symptoms experienced, typically to of a teaspoon daily. Warning: Do not take Proferia without the consent of your physician if you are pregnant or nursing. For best results it is recommended to begin using progesterone creams for a period of two weeks in between each menstrual cycle. Calculated from day 1 of the menstruation cycle (the first day of bleeding), begin using Profria on Day 12 through day 26, applying as recommended below. Stop using the cream from day 27 through day 11 of the next cycle month. It is important to take these breaks each month in order to allow the body to re-sensitize to the cream. Alternate the area of application to maximize absorption. For best results it is recommended to apply Profria as directed below for a period of 21 consecutive days during the month. Stop using Profria for one week in order for the body to become re-sensitized to the progesterone. Alternate the area of application to maximize absorption.